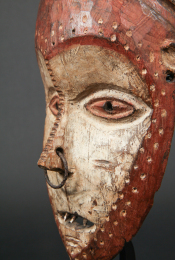 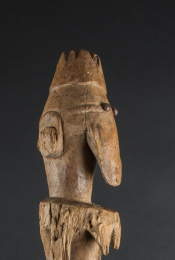 As stated by Kate Ezra in "Art of the Dogon » (1988): "Dogon statuary is linked to a vast body of myths pertaining to the creation of the universe, the struggle between order and disorder, and the place of mankind within it. 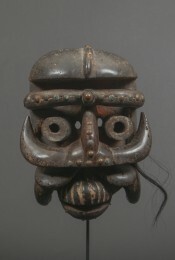 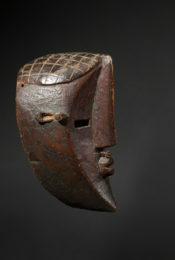 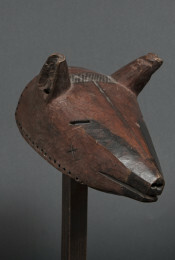 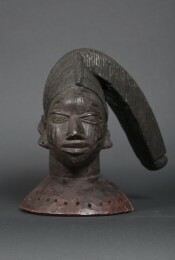 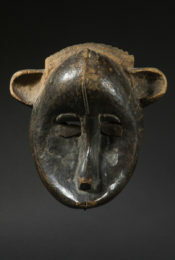 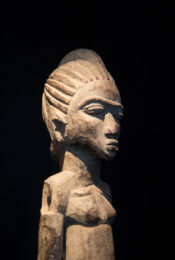 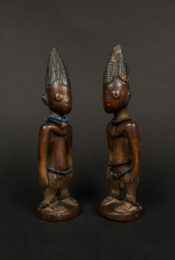 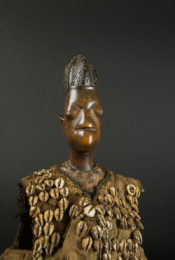 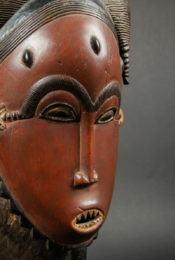 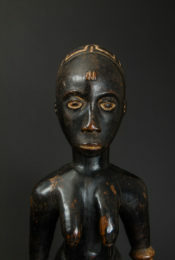 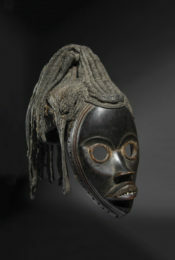 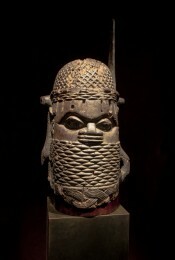 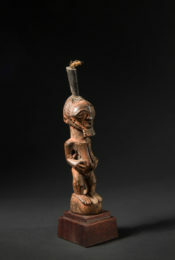 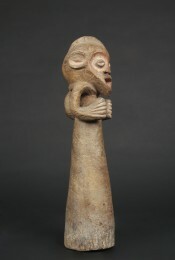 Human figures often represented ancestors or mythical heroes such as the founders of a village or lineage. 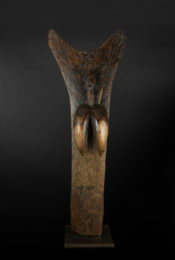 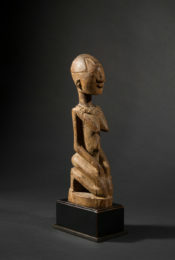 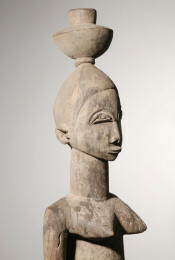 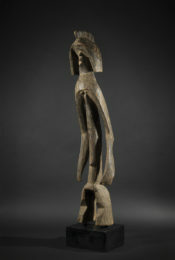 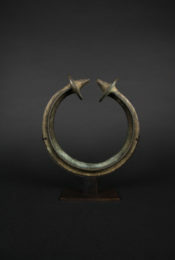 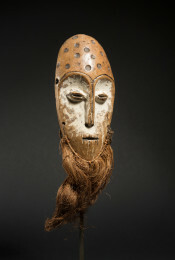 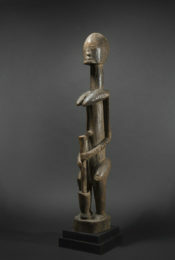 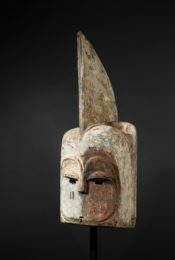 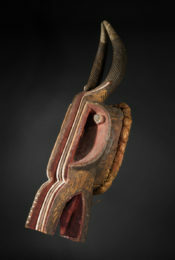 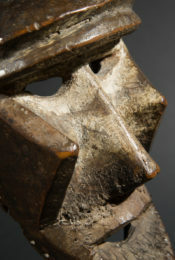 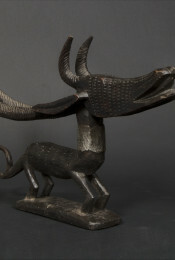 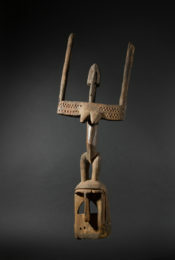 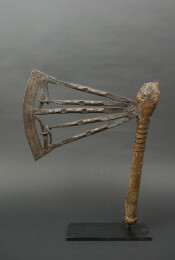 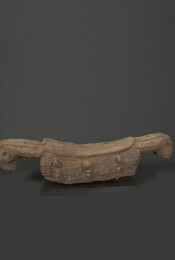 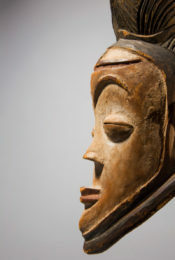 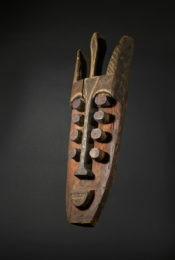 The Dogon captured the imagination of European and American artists and intellectuals in the 1930s with the austere beauty and isolation of their environment, the power of their sculpture, and the richness of their rituals, but we have still not fully understood the history and meaning of their art. 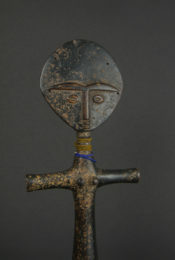 The Dogon live in one of West Africa's most spectacular landscapes. 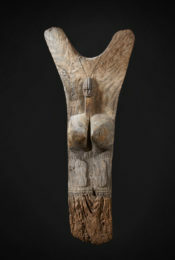 Their home is the Bandiagara Escarpment, a row of cliffs stretching 125 miles from southwest to northeast, parallel to the Niger River. 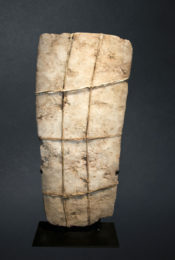 The steep cliffs, some of them almost two thousand feet high, are cut in massive blocks separated by natural gorges, their sharp-edged faces punctuated by caves. 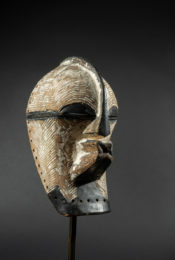 The cliffs make access to Dogon villages difficult, and even though the center of Dogon country is only about 90 miles from the ancient commercial city of Jenne [Djenne], visitors to Dogon country since the beginning of the twentieth century have stressed the sense of isolation and remoteness that pervades the cliffs. 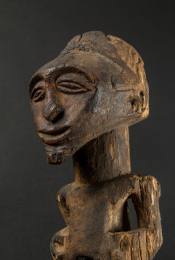 According to oral traditions, the Dogon chose to settle on the cliffs precisely because of their inaccessibility. 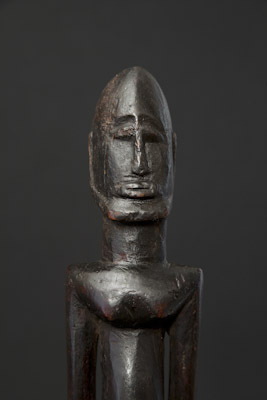 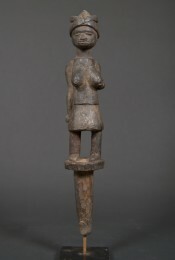 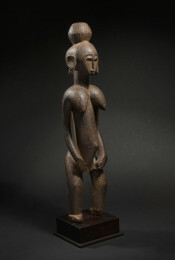 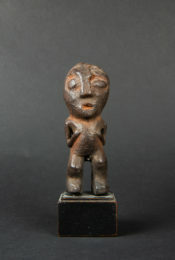 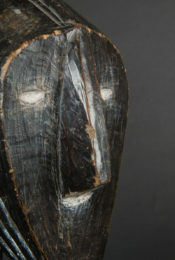 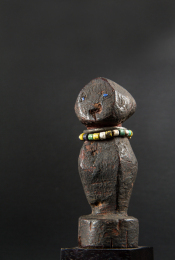 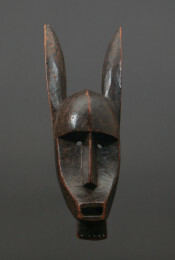 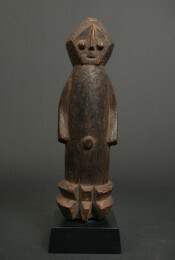 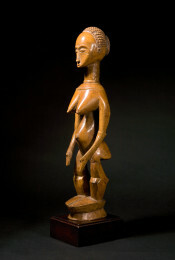 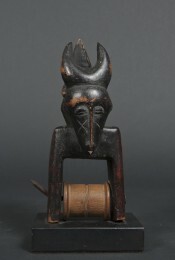 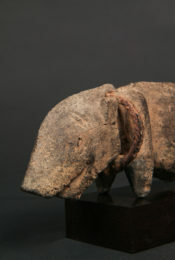 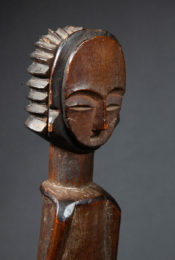 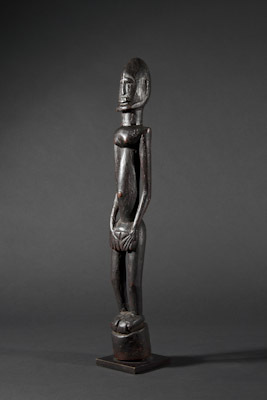 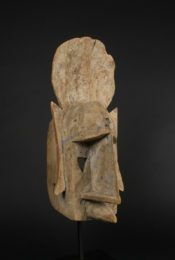 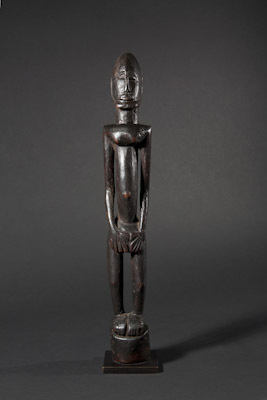 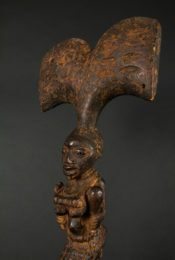 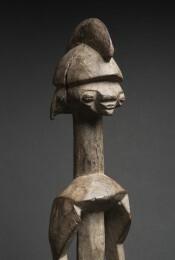 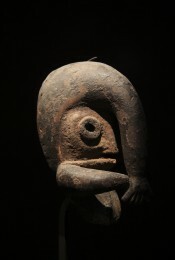 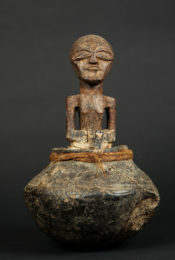 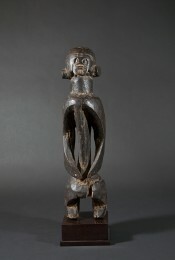 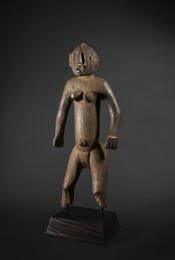 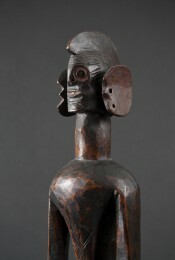 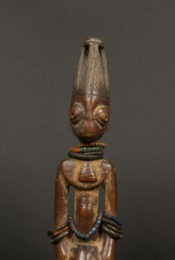 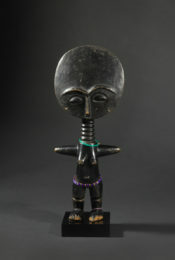 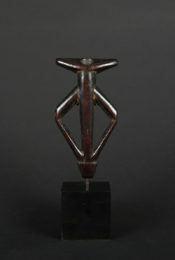 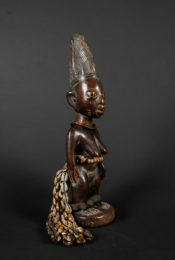 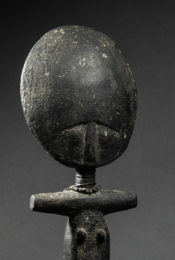 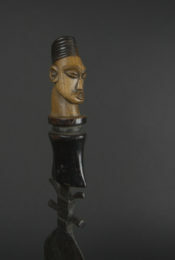 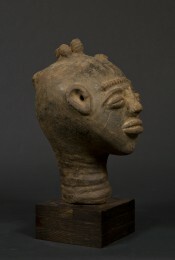 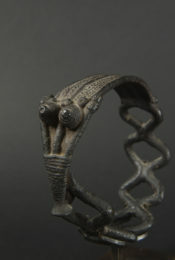 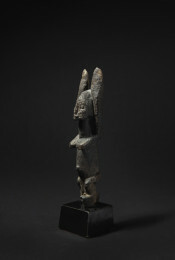 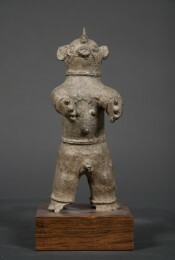 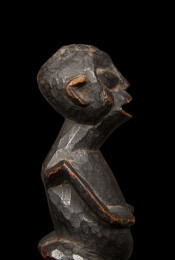 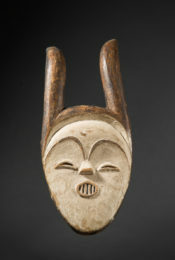 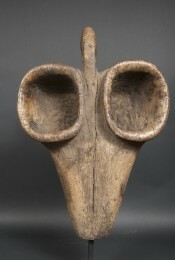 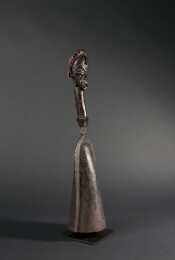 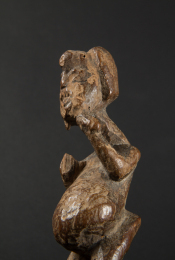 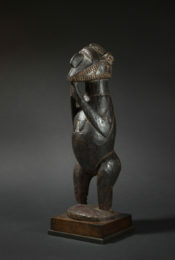 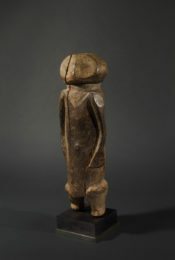 This Dogon ancestor figure is a great archaic sculpture. 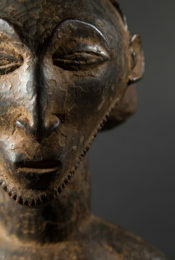 The hieratic posture, stylization of the hands and intense expressiveness of the face are particularly noteworthy. 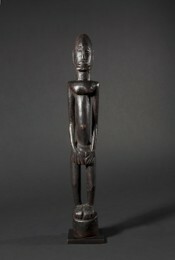 The shiny, dark, dripping patina (notably on the torso), attests to the great age and ritual nature of this piece.